Pet owners in Birmingham & Hoover...Good grooming practices are a vital part of keeping your pet in top health! Have you ever gone a month without a bath or shower? No way! You would never go that long without performing personal hygiene, so why should your pet? Regular grooming maintains a healthy coat and skin, keeps nails from becoming ingrown and can spot health problems before they become a serious issue. 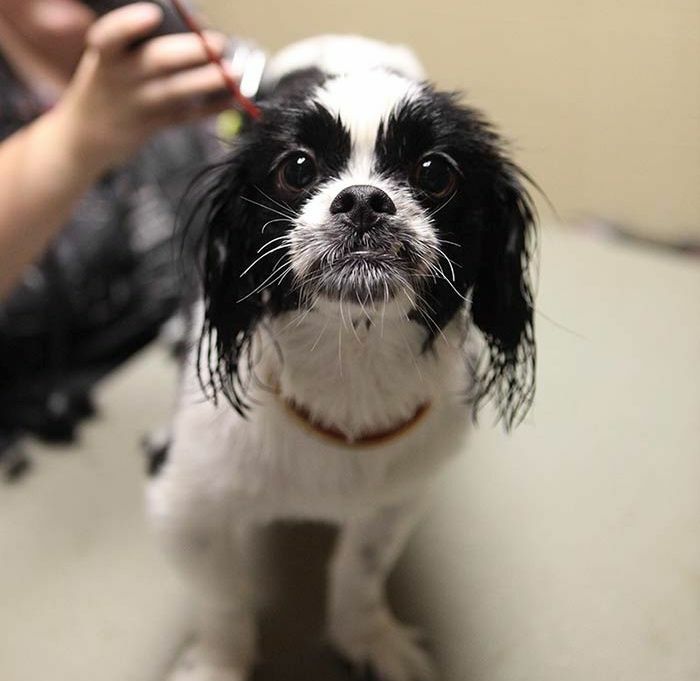 Pets, especially dogs, need to be bathed, have haircuts, and get their nails trimmed frequently to keep your pet in top health, maintain a healthy coat and skin, keep nails from becoming ingrown and can remove fleas & ticks. Dirty skin can lead to skin infections, ear infections, and foul odors. Hot spots and other lesions, severe matting, and not to mention shedding, can be avoided with a regular trip to the groomer. In the south, like Birmingham & Hoover, pet grooming during our hot and humid summers is very important. Correct and thorough grooming is required for removing fleas and ticks that can negatively impact your pet and your family’s health. Our groomer & staff will determine the best products for taking care of any flea or tick problem your pet may be experiencing. We can also help recommend any precautions or treatments for home care in between grooming appointments. Our groomers consult with our veterinarians should any major problem arise. Valleydale Animal Clinic can administer stress-reducing products such as Zylkene, Feliway or Adaptil to your pets while they groom with us for a small fee (varies based on product, size and breed). Please call 205-236-1800 and make an appointment so that we can set aside the appropriate amount of time for your pet’s breed, size, temperament and type of grooming needed. We look forward to showing you the difference a professional grooming appointment can make in the way your pet looks and feels. A healthy pet is a happy pet!